Ethiopian Airlines, the largest cargo operator in Africa, is pleased to announce that it has been voted as the Best Cargo Airline of the Year from Africa at the “2016 Cargo Airline of the Year” Air Cargo News awards held at the Lancaster London Hotel, London on 23 April 2016. Air Cargo News is the world’s leading air cargo publication which has produced the highest quality editorial content for the past 33 years. The awards are based on the voting results of more than 18,000 supply chain professionals over a two month period. Shippers, the beneficial owners of the goods, and their logistics partners were asked to vote on the publication’s website for the airline that provided the best overall customer experience and for the best service provider in each region. Ethiopian Airlines has been pioneering African cargo by introducing the latest technology and fostering the growth of air cargo transport by providing convenient cargo import and export. Ethiopian was the first in Africa to receive and operate the B777-200 LR freighter, which has exceptional uplift, range and fuel efficiency, and is perfectly suited for the transport of Africa’s growing import and export of freight. Roger Hailey, editor of Air Cargo News: “Once again the air cargo industry has proven that innovation and customer service go hand in hand with efficient and secure global supply chains. “Ethiopian Airlines is a worthy winner of this award, as recognised by peer group professionals who voted in recognition of its valuable contribution to African air cargo. Congratulations”. “We are very pleased to win such a distinguished award: Best Cargo Airline of the Year for Africa in the prestigious annual awards organized by Air Cargo News while we are celebrating our 70th year anniversary. 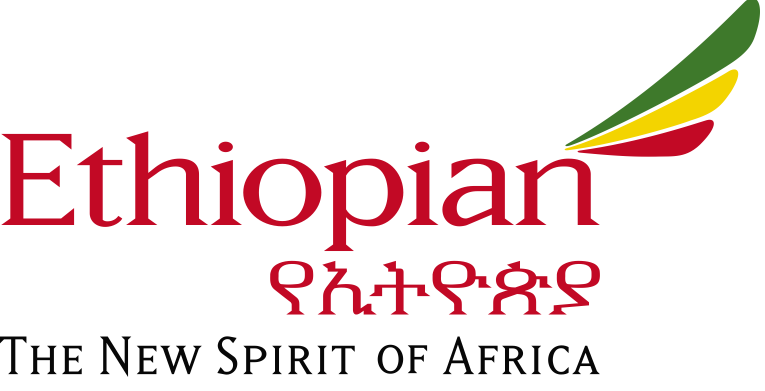 Ethiopian Cargo Services, the second largest Strategic Business Unit in the Ethiopian Airlines Aviation Group, has been leading the continent with the largest and efficient air cargo network of connectivity with Europe, North America, ME, and Asia for African exports and imports. This award encourages us to do more in our contribution towards the socio economic development of Africa. I would like to take this opportunity to thank our cargo team for their dedication and our Global cargo customers for their vote of confidence.” said Mr. Tewolde GebreMariam, Group CEO of Ethiopian Airlines. Ethiopian operates cargo flights from its two cargo hubs: Addis Ababa and Liege. Liege Airport has been serving as Ethiopian’s main European cargo hub since 2008 for Ethiopian flower exports to the European market and the import of high value goods into Africa. Ethiopian Cargo currently operates to 30 destinations in Africa, the Middle East, Asia and Europe using six B777 and two B757 freighters. The Airline also carries freight in the belly of wide body passenger aircraft, B777/B787, to 92 destinations across the Globe. Some of the major cargo destinations are: Belgium (Brussels & liege), Hong Kong, Shanghai, Bombay, New Delhi, Dubai, South Africa, Lome and Lagos. Ethiopian Cargo Services is the second largest Strategic Business unit in our Group and in line with our Vision 2025 strategic road map we have been investing in all the four pillars of its vision: it has acquired the best freighter aircraft in the world, the B777-200 LR freighters, it is expanding its cargo network across the globe, it is building one of the largest cargo terminals in the world with an annual capacity of 1.2 million tons, and it is automating its entire cargo business process with one of the best Cargo IT systems (SITA Champ Cargo Spot) with the aim of providing one of the most efficient air cargo services within, to and from Africa.